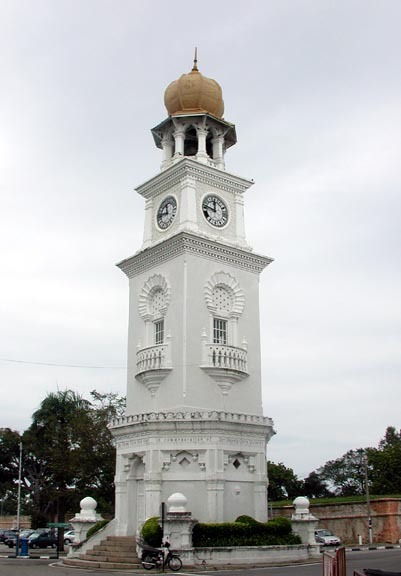 The moorish-style clocktower at the junction of Lebuh Light and Lebuh Pantai is sixty feet tall, one foot for each year of Victoria's reign. A corner of the wall surrounding Fort Cornwallis appears behind the tower, which was built to commemorate Queen Victoria's 1897 Jubilee. Photographs by George P. Landow 2001 may be used without prior permission for any scholarly or educational purpose.